Let’s say you’re a giant American corporation like Pfizer, founded in Brooklyn way back in 1849. The fact that you exist and make a profit is largely due to the generous support of U.S. taxpayers. It’s the taxpayers, after all, who pony up for the National Institutes of Health, which does the basic research you rely on to develop drugs on which you make gigantic sums. And it’s the taxpayers who shell out large amounts of money to protect your patents, broker trade treaties in your favor, and protect your interests around the world in international negotiations. The same ones who pay for the public education of your employees and the costly infrastructure—the highways, airports, etc.—needed to move your products. The very folks who pay the billions in federal contracts you receive. So what do you do? Do you pay your share of taxes to return some of this largesse? Oh, no. You vigorously lobby for lower taxes and leave no loophole unexploited. You are not satisfied to have received $2.2 billion in federal tax refunds from 2010-2012 while raking in $43 billion worldwide even though 40 percent of your sales are in America. You’re not ashamed in the least that in 2012, you stashed $73 billion in profits offshore on which you paid zilch in U.S. income taxes. Your greed and irresponsibility demand still more. So you decide to get out of paying a single nickel to the country that feeds you. You rig up an overseas purchase so you can “officially” relocate to a place with a lower tax rate and in doing so deliver a giant middle finger to your fellow Americans. 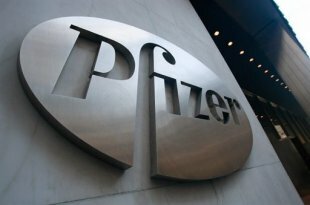 Last week, New York-based drugmaker Pfizer finally admitted why it wants to buy British drugmaker AstraZeneca, which is based in London. Sure, it will get some experimental drugs out of the deal, but that’s not what it’s really after. What Pfizer wants is to cheat American taxpayers.